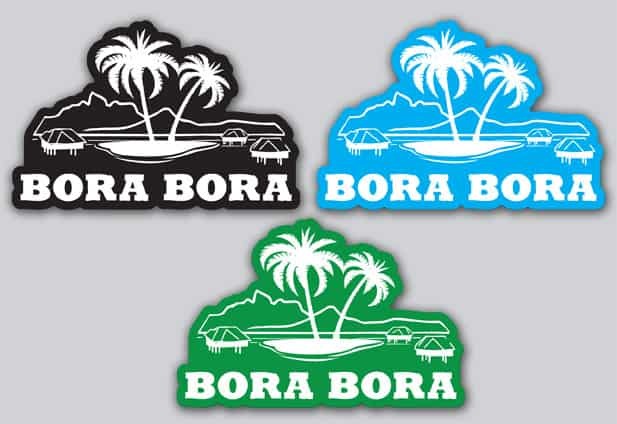 Incredible Bora Bora wedding video - Visit BORA BORA! Kimberley and Matthew were married on the 21st of December, 2013. To capture their special moment they turned to Untitled Film Works to film their ceremony on location in Bora Bora. The happy couple picked the beautiful and luxurious St. Regis resort to be place where they would exchange their vows. This Bora Bora wedding video was shot by Abraham Joffe, an award-winning cinematographer and is regarded as one of Australia’s top DSLR filmmakers. He has a great passion for storytelling and filmmaking in the real world. This video was shot with incredible high quality 4K resolution detail on the Canon 1DC. Enjoy! When we became engaged early in 2013, we didn’t want to get carried away with having a fancy wedding with 300 people. Even though a few months earlier I was joking around with my dad asking him what sort of dress he would buy me and his response was “there are plenty of nice dresses on EBay” but thank god he pulled through and bought me the most amazing Vera Wang dress. So for our ceremony we chose Bora Bora, because for most people it is a once in a lifetime experience and boy wasn’t it beautiful. From the overwater bungalows to the crystal clear turquoise water. It was amazing! Our ceremony took place at the St Regis Resort on the 21st December 2013, at 11am with just our parents. As my dad escorted me down the glass floored jetty, we were looking straight towards my beautiful husband and in the background was the turquoise lagoon and the huge mountain (Mt. Otemanu). It really couldn’t get any better. After the ceremony we didn’t have to worry about the stress of a reception. We all went back to our rooms and put on our swimmers. But before Matt and I did we scoffed down 2 club sandwiches in our wedding dress and suit. Once we had all eaten some lunch we left the St Regis and got a private boat. The driver of the boat had the coolest sunnies on, playing the banjo whilst steering the boat with his feet. We stopped in the middle of the ocean and jumped in and swam with dozens of Black Tip reef sharks. One word: UNREAL. To finish of our amazing day, we were picked up by boat for a sunset dinner on a private island (motu). Once we arrived at the island we sat down around a beach campfire drinking champagne and watching a jaw dropping sunset. Once we finished our champagne we enjoyed an intimate candle light dinner, with local flowers to decorate the table. We were served all locally cooked food from the soft bread to the lobster they had caught just an hour earlier which was served in banana leaves. It was a perfect way to end an evening. Even though some of our friends and family were not there we are so grateful we had Untitled Film Works there. Abraham said from the start he wanted to create a story and he really did. Those who were not there have all felt the love and goosebumps we felt on the day from the pre wedding activities with the fire dancers to our ceremony and everything other activity and dinner we did that day. Our goal was to create something so special and memorable that it would be etched into our memory, that is why we choose Untitled Film Works in Sydney. When I first called Abraham with the idea of a Bora Bora wedding video he said it is very important that we create a story and looking at his previous videos. Thank you so much Abraham; your work is impeccable and thank you for sharing it with us in Bora Bora and a big thanks to Simon from GM Photographics for your beautiful work. When you ask someone to describe paradise, one of the first images that come to mind is Bora Bora. That was certainly the feeling I got when stepping off the plane in December. I have been fortunate enough to travel to some pretty idyllic destinations but this place has got to top the list. Huge skies filled with puffy white clouds, aquamarine water filled with tropical fish, and timber boardwalks connecting one piece of heaven to the next! Matt + Kim first contacted us over a year ago to discuss the possibility of filming their wedding in Bora Bora. Kim was pretty adamant she wanted untitled film works to capture her wedding which was quite lovely. Our shoot last year in the Maldives may have just tipped her over the line. Destination weddings can be incredibly intimate and this was no exception. Matt and Kim only had their parents in attendance, when made for some real quality time for all of them. We were also incredibly blessed with perfect weather from the moment we arrived. I decided to shoot the wedding in 4K (4096×2160) resolution on the Canon 1DC camera. There really was no other option as opportunities like this don’t come around every day. The shooting tools I travelled with was a Miller Solo Tripod , Manfrotto Monopod , a Glidecam 4000 (for all the motion shots) as well as an Aquatech housing for the 1DC. I also utilized heavily an array of polarizing filters to really make the sky pop. Shooting a ceremony solo can be tricky as you really need to plan your angles in advance and not rely on a second shooter. I setup a static on Matt to record his reaction to Kim walking down the aisle and then captured her final steps. During the ceremony I used two tripods for static angles on the vows (one centre aisle and one on Matt) and then picked up a third angle on Kim for her vows. After the ceremony we took an outrigger across the reef to a special spot where you can swim with blacktip reef sharks. Our skipper sang and played a small ukulele as we cruised across the crystal clear waters. Filming our bride Kim swimming with the sharks on the wedding day was quite a moment!